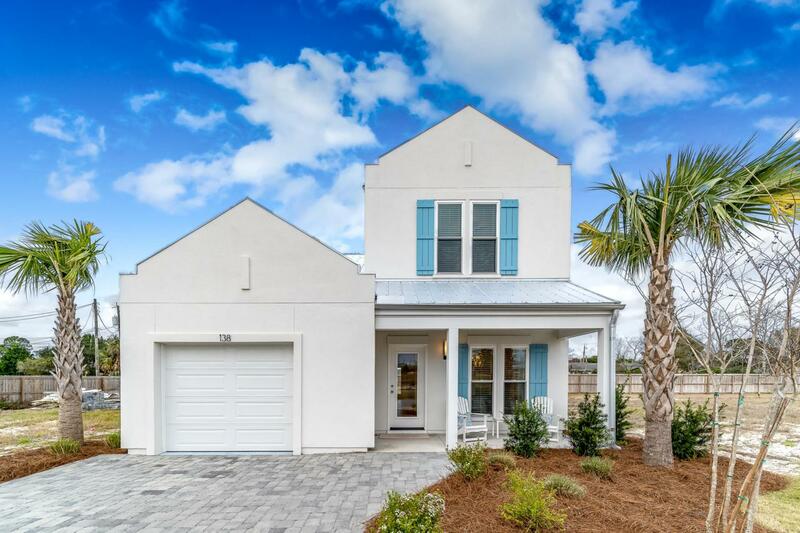 The Sago Plan at Shorewalk is a 3 bedroom, 2 1/2 bath beautiful home. All main living is on the first floor, including the master bedroom and laundry room. Lots of extra storage tucked into the home and it has a full 1 car garage. An open living concept, with a bright, formal dining room, beautiful counter tops, high end cabinets and lots of natural light. Upstairs has 2 large bedrooms and a large guest bath with double vanitys. Build includes Hurricane Impact windows and doors, 2x6 exterior wall framing, hurricane tie down rod and anchor system and metal roofs. Yard work is included with HOA fees. This will be a gated community and have a pool coming soon! Short term rentals are allowed. This plan will need to be built. Photos are of a model home example with upgrades. With only 21 lots,don't miss your opportunity to own in a unique neighborhood. Public beach access is .3 miles away. Golf cart friendly and only 1.4 miles to Pier Park! Listing courtesy of Coastal Sun Realty Llc.